Bearded Dragons are fun lizards to own as pets. Bearded Dragons are from Australia and are generally considered one of the best lizards as pets, which have led to them being a very popular choice for beginners. They are known for being hardy and tame (providing they are well handled). They are a fun lizard to own as they are often seen watching their owners from their vivarium. They get their name from the spiny ‘beard’ they have. The average captive lifespan is between six and ten years, although they have been known to live to double this, so they are a long term commitment. A vivarium of 4ft x 2ft x 2ft is a good size for an adult Bearded Dragon although they will enjoy having more space if possible. Being from mostly central Australia, Bearded Dragons are used to desert environments and like it hot. A basking area of around 37°C works well and using a ‘dayglow’ bulb allows your lizard to know where the heat source is (this should be guarded to prevent them from touching it and burning themselves). The bulb should be placed on one side of the vivarium so there is a hot and cooler side. You will need to provide hides in both sides of the vivarium so your lizard can thermoregulate. At night when the ‘dayglow’ bulb is off you can keep the vivarium warm by using a heat matt or ceramic bulb and the temperature can drop down to around 18°C. As with any heating equipment they must be controlled with a thermostat for safety. Bearded Dragons are omnivorous so they need to be fed on live insects and fresh fruit and vegetables every day. They also need to have the insects dusted with a calcium and vitamin D3 supplement. This is something really important to remember, everyone in your house might not like the idea of live cricket or locusts in the house. Fresh water in a shallow bowl should be available for your dragon, you can also mist the vivarium lightly which will them to get the water droplets from the walls, rocks and even themselves. Bearded Dragons make can make great pets if you do the correct research and provide them with everything they need for a happy and safe life in captivity. 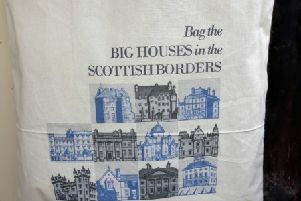 Will you bag all the big houses in the Borders?